Four years ago I gave birth to the two most amazing kids anyone could ask for. Yep, I had twins. Before I had my kids I was in a bad place. I had a hard time getting up in the morning, struggled with the simple things in day to day life because the effort just didn't seem worth it anymore. I used to draw out all of these emotions onto paper, though I was not very good at the time. It helped me get through the worst times but it was never quite enough despite my love for art. Then, my kids came along. It was like a miracle. My life had purpose. There was suddenly someone in my life that would love me no matter what and for no reason what so ever other than I am their mother. I decided I needed to be someone worth that kind of love. I started taking care of myself for them. And after a while I was taking care of myself for me too. But that wasn't the only miracle that occurred. ​ One day I was sitting there looking at my kids and just thinking how lucky I was. They were so beautiful. So perfect. I felt the need to draw them, it was the first time in two years I had picked up a pencil. Suddenly everything clicked. I just knew how to do each detail in their face, how to build up to get just the right skin tone and just the right honey brown in my sons eyes. I had never done so well before. The difference between my previous works and that one of my kids was astounding. I had to keep drawing. Keep drawing them. Eventually friends and family began asking me to draw their kids portraits, or their dearly loved pets. I took so much joy in seeing the looks on their faces when they saw their loved ones turned into works of art they could cherish forever. That's when I knew I had truly found what I was meant to do. You never know how you are going to stumble upon what you are meant to do with your life, but thanks to my kids I found exactly what I need and what I want to do with my life. After all of this time I am pleased to say that I am finally starting up my own etsy shop for hand drawn portraits and prints. It has taken a lot of confidence building and a lot of time (which I don't have much of cause you know....twins) but I am finally diving in and taking the plunge. I am both terrified and excited to see how this will turn out and what will come of it. Who knows, maybe it will flop. But maybe it will provide just enough that I won't have to work fifty hours a week anymore and will have time with my kids. Either way, I can't wait to see where this path takes me. Wish me luck. Let me know what you think. Visit Sifiso's Wish. As we all know, sharing can be a difficult concept for kids. And sharing difficulties start even earlier with twins. Well, as soon as I thought I got this whole sharing thing down with my twins they took us for a loop. Recently, my husband and I moved in with another couple who happen to have a one year old daughter of their own. Suddenly the twins have become possessive over everything they own, and everything little one-year-old Mary owns. Before, the twins shared almost everything save for a few toys that were given specifically to them for their birthday or Christmas. So basically the rule was, they were playing with it first so they get to play with it. Now, they are faced with a new sharing concept they had only encountered a few times in the past; what to do when they are playing with another kids toy and the child wants the toy back. At first this was a difficult thing to teach. How do you approach something so simple yet so complex with a three year old? Well I thought about it like this; if a friend were to lend me their computer but then wanted it back, of course I would give it back! So I then started thinking about it in terms of how the normal adult would approach each "sharing" dilemma and tutored them as such. Something like, "Now Evan, sharing is important but its also important to return the toy when Mary wants it back and say thank you for letting you play with it." Of course they are three, so this causes another problem all together, like the twins taking toys from Mary because they want it back but not because they actually want to play with it. They simply don't want HER to play with it. Of course, it is important to have things that they don't have to share because this is just part of being a person, but in the general sense I tell them that it is important to share their toys with Mary too and that if they don't want to play with it they should be nice and let her play with it. This is a never ending loop in our house hold right now. Who knew sharing could be so complicated? How do you Mamas deal with sharing in your households and how do you teach your children the important foundation of sharing? To follow my blog, click the facebook like button bellow or sign up for an email subscription. 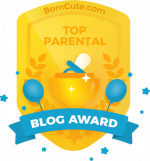 If you liked this post, click on the Top Mommy Blogs Icon to help us become number one! These past three years, your only three years, have been hard ones. A Mom and Dad that are never in the same house together. One in college, the other at work. Never enough time with both of them. I wish I could say that soon it will be easier. But, an education takes time. And a lot of money. I know, that Mommy is always exhausted. Working till five in the morning then getting up with the two of you two hours later so that Daddy can make us a future. I know that sometimes this makes Mommy short tempered. I know that Mommy does not always play with you as much as she should. But I do not want you to think, even for a second, that it is because she does not love you. Mommy would give anything to spend each and every second of every day with you. If Mommy could. But you both deserve a future. A future where we don't have to worry about loosing the roof over our heads, a future where we don't have to live in peoples basements, a future where we don't have to worry about how we are going to afford food. By the time Daddy has made this wonderful future for us, you will be eight years old. As I said, an education takes a lot of time. In only three years I have already missed so much time with you. It's hard to imagine I will have to miss more. Sometimes, even when I get the chance to sleep I stay up, feeling guilty. "How could I fall asleep on the couch again," I will say, or, "I shouldn't have snapped at them like that." "Why can't I just manage to play with them more." I try to tell myself that its okay, that you will understand that Mommy is just tired. But you're three, and all you see is Mommy wasting what little time she has with you. I wish there was someway to tell you that you would understand. Show you that I hate this just as much as you do. But all I can really do is write you this letter and hope that somehow you will just know. Somehow you will just know that I love you both with all of my heart. That I would go to the ends of the earth and back for you. That the only reason I leave you each and everyday is because I love you. Because I want you to eat healthy foods, because I want you to get toys you actually like on your birthday, because I want you to have clothes that don't have holes in them. And so you can grow up without strife. I love you Evan and Kaylee. You are my whole world. So every time Mommy snaps at you, or falls asleep on the couch, or doesn't want to play, I hope you know its not because Mommy doesn't love you. It's because Mommy would do anything for you. Like my blog via facebook bellow to follow me or sign up for the fee news letter. ​I have always felt that I am a target to the kiosk people at the mall, but now I have found that it is only worse with twins. "Oooooh," they will yell, "twins, how cute!" Before you know it I will be in the middle of a sales pitch and failing to find a way to tell the man with the nice smile that I do not need a straightener for my six inch hair. In fact, I am instead telling him how beautiful my already straight hair will look once I use the straightener to make it extra straight... It is as if they can smell my weakness when I am walking by. I am used to being mobbed by the general public with questions about my boy-girl twins. "Are they identical?" they will shout to which I will give them a confused look and a no. But using my twins to make me a target for a sales pitch is definitely a new one. If anything I would have expected them to look at me like most people in a meaningful, but completely mistaken, look of "that poor woman" and then leave me alone knowing that I couldn't possibly afford whatever they are selling. But having twins is a conversation starter, and therefore a way to get you to talk to them. Luckily, my husband came to the rescue right as I was about to throw money at the man and deterred me to the store where he works before any other kiosk salesmen could capture me in their dreadful sales pitches. Like the post vi facebook or sign up for an email subscription down bellow. Moving with twins can be incredibly difficult. Then again moving with a child period can be extremely difficult. The first time I moved with the twins it was a simple matter of putting them in their pack and plays while we got the work done. Now that they are three and a half it is much more of an impossible task. So you put them in their room, but oh wait...they can open doors now. Oh why didn't you install a lock on the outside of their bedroom door? Okay, different plan. We will take them to Grandmas house. Cool, packing done. Conclusion: once your twins turn three don't bother moving. Your dying in that house. Congrats. Follow the blog via facebook or email bellow. Since becoming a mother I have found that the guilt trips never seem to end. Every day there is something I can feel guilty about. Another aspect I have failed in. I am not the perfect mother I want to be, and I feel guilty about it. And I am not the only one. Since I started Twinning-It mothers numerous mothers have come to me for advice. "How do you get your dishes done every day? How do you get enough sleep with Twins? How do you make sure they get their 15 minutes of reading when there is so much to do?" It seems I am not the only mother who feels guilty about not getting one thing or another done in the day. Well, if you want to know the answer to all of these questions it is simple. I don't. Every day there is at least one thing or another that I have had to neglect. I work forty plus hours a week, and all of them on the night shift. This means I work anywhere from one to five in the morning most nights and still have to get up with the babies in the morning. I am sure you can imagine how exhausted this makes me most days. Most of the time, if I wish to stay sane that is, I have to use their nap for a nap of my own. This leaves very little time for chores and all the things that need to be done around the house. Dishes are never completely done. There is always another load of laundry to be done. I never have that feeling of completeness. And I feel guilty about it. But why? I work hard don't I? I bring home money every night so my babies can have the things that they need every day. I give my babies as much love and attention as I possibly can in a day. And I make sure they know how much I love them So why do I feel guilty when I am obviously doing my best? I think it is because, like all mothers, I just want the best for my babies. But life is not perfect, and it is simply not possible to get everything done in a day. I believe another source of this guilt is that we are constantly comparing ourselves to other mothers. "Well, she gets all of this stuff done in a day, why can't I?" It's hard, but I think we all need to just let this go. The fact of the matter is that we are not that other mother, and our circumstances are not the same. Our kids are not the same. And our needs are certainly not the same. While it is hard, I think all we can do is try to turn the other cheek. Look at all the things we did get done in the day and know that we are trying our best for our kids. Our kids will recognize this eventually after all....even if it takes most of their lives. We just have to know we are doing our best. And that is what really matters. Last month I wrote about the ten best things about having twins, well this week I am going to do the opposite. Lets face it, having twins is hard! And while the good far outways the bad, having twins is just plain harder than one baby. 1.) They are born knowing how to fight. I swear my babies just came out of me stealing toys from on another or pushing the other down. How is this possible you ask? Twins. 2.) Difficult pregnancy. Compared to most my pregnancy was not bad at all, though it was still harder than any singleton pregnancy. While my pregnancy was not as bad as some twin mothers, I have read numerous accounts of babies born too early, hospitalized bed rest, and so much more that makes our pregnancies much harder and even scarier than your normal singleton pregnancy. 3.) Travel. Its impossible....just don't do it. 7.) There are some activities you just can't do with twins....unless your willing to pay extra. A few months ago I was reading about a fun swim class for small babies that is offered in my area. I was so excited, I love swimming! I called right away to get the details on pricings but the instructor immediately told me it would be impossible with twins unless someone came with me...but my husband works on the days they have class...so the only other alternative was for one on one classes with the instructor so she could take a baby...this cost 100 dollars extra for each baby. Ya...no. 9.) Individuality. When you have a singleton this is rather easy. You don't even really think about it. They like trucks, okay, cool. But with twins it is a little harder. Some twins get incredibly attached to each other to the point where they can't be themselves without their twin with them. This makes decisions like weather you should separate them in school or not very difficult. Or maybe your twins are the opposite and they both like completely separate things. This still has its challenges...such as birthday parties. Yes, I am in fact having a dark ninja pink princess tiara birthday party. What of it? 1.) No matter what people say, no one can deny your twins are a miracle. As a mother of twins I am constantly getting comments such as, "I would jump off a cliff if I found out I was having twins," and while these comments can be incredibly agitating at times, I know that even they can not deny that my twins are pure miracles. 2.) Watching as the twins entertain one another. Perhaps it is because the twins are my first, but I don't know how singleton mothers do it! Doesn't the baby get lonely without someone their size to chase them around? Sure, the parents can play with them, but surely it is not the same. 3.) Twins teach each other. I absolutely love watching the babies teach each other things. Sometimes, as I am sure my fellow twin mothers know, one twin will catch on to something much faster than the other. But this is usually short lived as they will soon teach the other how it is done. In this way, I feel that they learn faster than most. 4.) Matching outfits. Even when you have boy/girl twins, the matching outfits you can find are absolutely adorable. Especially when it comes to Halloween. Can there be anything cuter than two babies in costumes?? 5.) They are the ultimate excuse. Many mothers may not admit to this, but we all know you have used your twins as an excuse at least once in your life time. Don't wanna cook so you order takeout? Its okay, you have twins. Don't want to pack up your twins for a family outing? Its okay, people are in wonder that you can manage twins in the first place! 6.) Everyone thinks you are a super Mom. No matter what you do people think you walk on water. I constantly get comments such as, "Oh my twins! How do you do it?!" or, "You make having twins look so easy!" It is a good thing they don't know that it really is pretty easy....not that it is without its challenges. 7.) Pictures. A picture of one baby is already pretty dang cute, but two? I think I just died of cuteness! 8.) Loving your husband even more. While I know that I am lucky to be able to list this one as some men just can't come up to the task of handling twins, I am glad to say that I can. Now that I see what an amazing father my husband is and how much he helps me with the twins I can't help but love him all the more. 9.) Learning to share more quickly than singletons. I noticed pretty quickly that my babies learned how to share far faster than their older singleton cousins. 10.) Double the love. Can I say more? Everyday, even on the bad days, I have absolutely no doubt of how much I love them and how much they love me. There is nothing in this world I could possibly love as much as my family. Just another crazy dedicated mom of twins. If you are having troubles subscribing to my blog with RSS Feed and you are a chrome user then click here for detailed instructions on how to do so. You can also follow me on Facebook by clicking the Facebook button in the top right corner of the blog and liking the page it takes you to. Please vote for Twinning-it to improve our ranking by clicking on the banner bellow. Help us become number ONE!